Hey y'all! 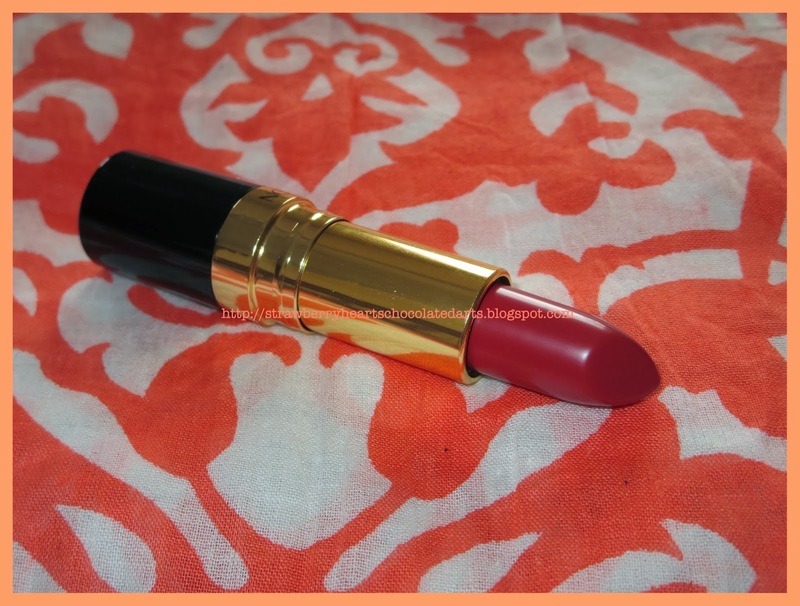 Today, I would like to share my review and swatches of three of the five recently re-released Iconic Vintage Revlon Superlustrous shades. The collection includes five shades: Icy Violet (1946), Sandstorm (1999), Jungle Peach (1963), Snow Peach (1956), and Fifth Avenue Red (1958). I found the limited edition display yesterday morning at my local Walgreens. The beauty advisor had set it up moments before I came in, so the display was untouched and fresh for the picking. Individually, the lipsticks are marked down from $8.29 to $6.99. If you purchase two, then you get an additional discount. 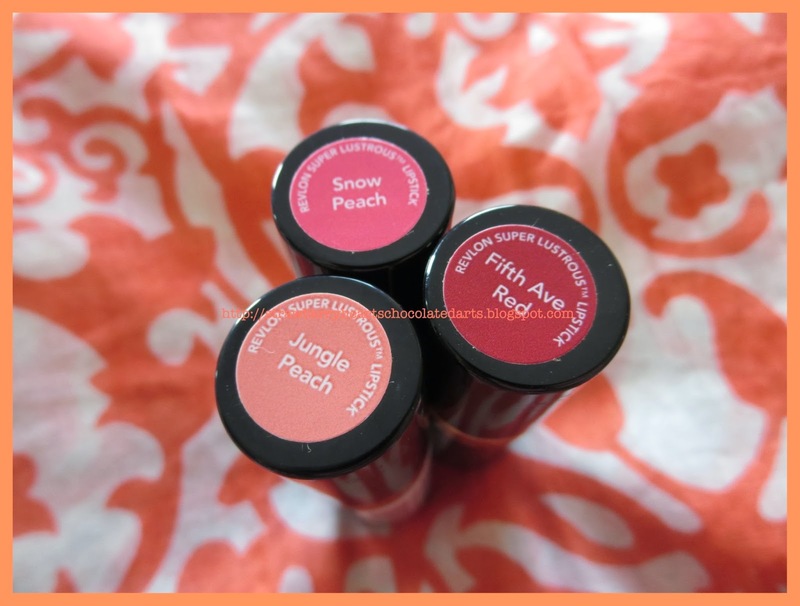 I purchased Jungle Peach first, which costed $6.99. I like to make purchases in smaller increments rather than all in one go. It is a bit overwhelming and I do like to ponder on whether I really desire the items at all. 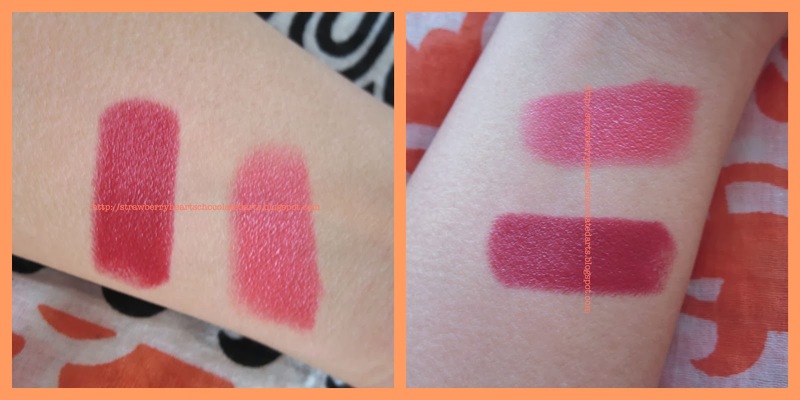 So, I kept Snow Peach and Fifth Avenue Red on hold, tested out Jungle Peach, thought over it, and then purchased the remaining two shades last night. I paid $6.99 for the first lipstick and $3.49 for the second one (minus the retail tax). 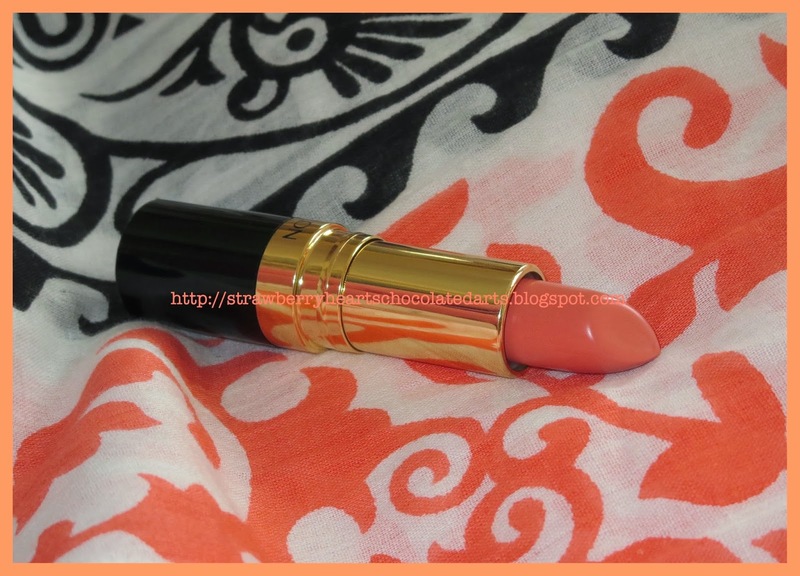 The formula of these particular shades was especially creamy and appropriately emollient. 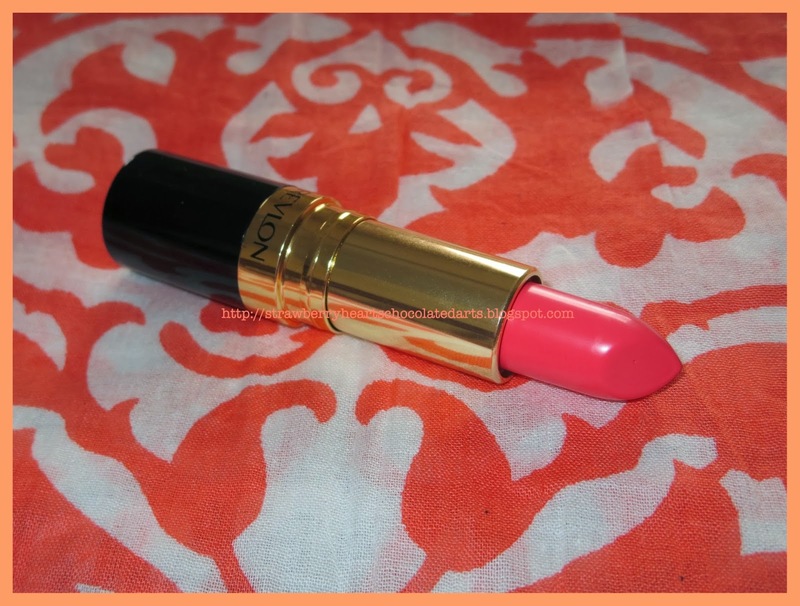 I own a few Revlon Superlustrous lipsticks and do like the formula in general, but these lipsticks glided on buttery smooth. I think this was the main reason I opted to purchase two more shades. 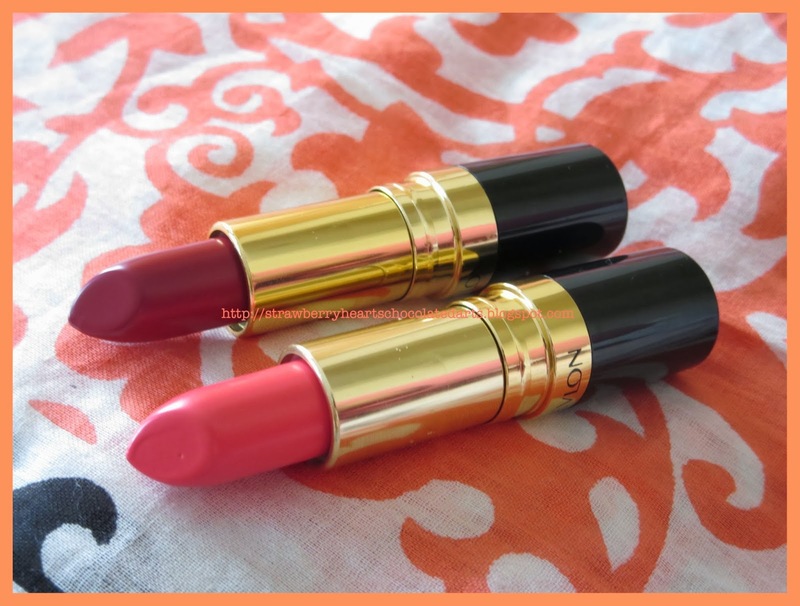 These lipsticks feel moisturizing like a quality balm. 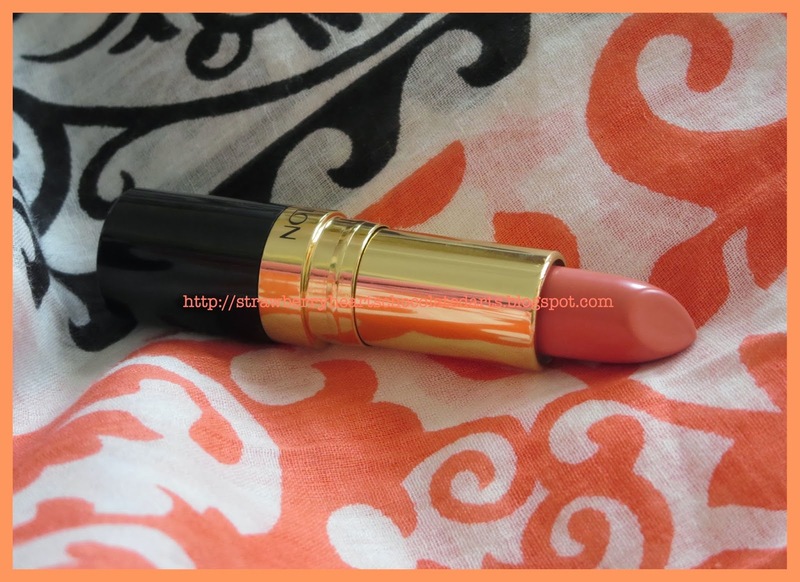 Jungle Peach looks a bit streaky on my natural (medium) pigmented lips, but it does not bother me because I am in love with the texture. These lipsticks also have a subtle sheen, which gives a plump and healthy appearance to your lips. 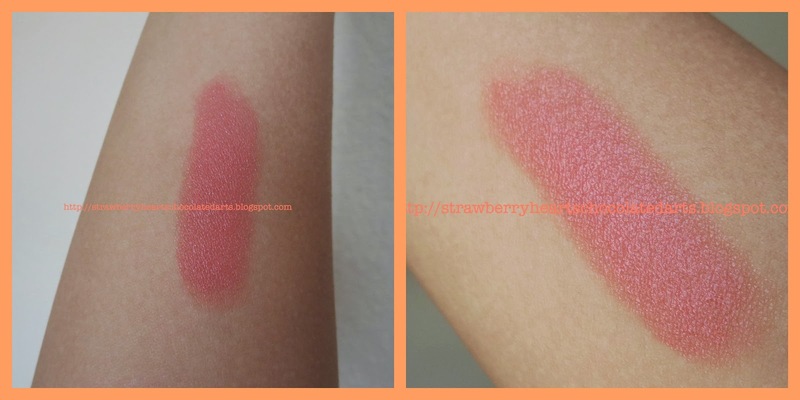 I might need to occasionally blend Jungle Peach out or apply a few swipes to make it look less streaky, but Snow Peach and Fifth Avenue Red come off fully opaque in one swipe. The traditional tear-drop shape of the Revlon Superlustrous bullet helps with applying the color within the lips outline. Overall, I am definitely happy with these three additions to my ever-growing collection of lipsticks. I would definitely recommend purchasing these soon because these lipsticks have been re-released for a limited time only, the displays only carry two of each of the five shades, and they are currently on sale at Walgreens. I hope y'all enjoyed this review and found it helpful. I am not as chatty today as I usually am in my blog posts. I have not been feeling well for the past few weeks and am behind on studies and other work, and still recovering. "I am so tired," is my currently coined phrase. Fortunately, I had surgery (wisdom teeth extraction) a few days ago and now the four impacted monstrous wisdom teeth, which actually sucked all the wisdom out of my life for the past three weeks, are gone. Yay! Those are all gorgeous colors! I especially like the darkest one! I am so obsessed with snow peach. I really need to just go get it!!! Thanks for sharing your swatches! Glad to hear your surgery went well and those beasts are out! I am glad you picked these up! They all look great on you, and I really love how you think about your purchasing decisions so carefully.